Hey Scott and Jorge, I just wanted to say that I enjoyed your EarthBound debrief's immensely. I felt that hearing each of your thoughts on the game was really enjoyable, especially because your experiences and interpretations of things in the game were sometimes very different or almost exactly how I interpreted them when I played through EarthBound. You both had such an excellent grasp on the themes and messages hidden throughout the game that I feel like some people who play and talk about the game miss out on; so it was really interesting to hear each of your own unique experiences. You guys mentioned Mother 3 near the end of the podcast while asking for suggestions on what to play next and, personally, I would absolutely love to hear your thoughts on it. I understand if you guys are would rather wait awhile before playing another Mother game for a debrief, but I'm certain it would make for a very interesting set of podcasts. The game is just as good, if not better, than EarthBound and it is definitely a must-play game for anyone who enjoys video games as an art form, or even just incredibly rich storytelling. (Seriously, if you guys don't end up debriefing it, please play it in your own time because it is such a fantastic experience!) 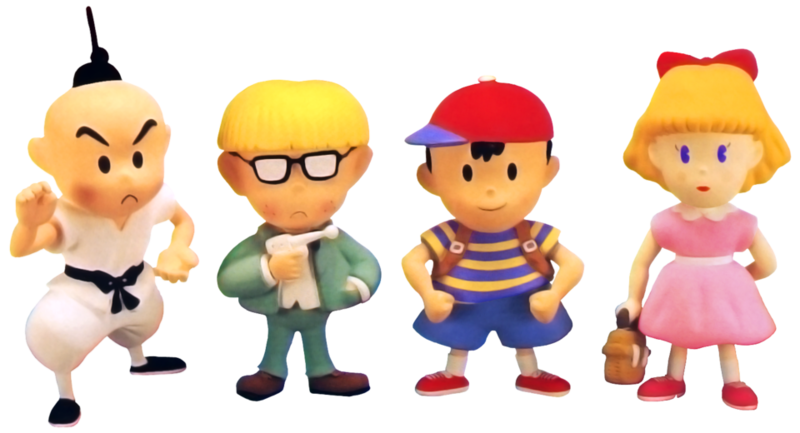 Regardless, these EarthBound debriefs were very enjoyable and I would love to hear more. Keep up the great work guys! Thanks for making this little mini series, it was a lot of fun to listen through, and it sounded like you had fun making it as well. I've said before, but I loved the series, and I've never played Earthbound. I would totally dig on more in-depth analysis like this. Might I recommend Nier as a future game? It has a similar quality of becoming stranger and stranger, the deeper into the game you tread. Interesting themes of parenting, transphobia, perception shifts about what it is you've been doing, and multiple expressions of game genre. It's also the only game I've ever played that asks the player, as well as the characters, to make a sacrifice, to see the final ending. Thanks for listening, Philip! Glad you liked it. A bunch of other folks have said to play Mother 3 as well, so we'll have to get to it some day. Everything you and others say about it makes it sound great. Thank you for listening! It was unexpectedly popular with folks (which worked out nicely since it was basically a way for me to selfishly play Earthbound again). As you may have guessed, Jorge and I started a list of possibilities for the next one of these so I'll put your suggestions on it!